Prague is one of Europe’s best preserved cities, with it’s historic downtown still following the same layout as was it was originally planned over 1,000 years ago. The architecture and cobblestone streets create a vibe that’s both haunting and romantic all at once, so it’s not hard to see why it’s a destination for many. The architecture in Prague as a whole creates a different landscape than pretty much anywhere else in the world. There is a mixture of cubist architecture, Gothic cathedrals, Baroque palaces, and Art Nouveau buildings which makes it varied and interesting to experience. Luckily there are plenty of places in Prague to check out the views, such as the observation deck of the tower of Old Town Hall. The Czech capital might be referred to as the “city of a hundred spires”…but there are actually closer to a thousand. The views from the observation decks can be equally great all year round. One fun reason to visit Prague is to taste delicious beers from local places but from all over the world as well. There are classic pubs to choose from, as well as restaurants with beer on tap, and also special breweries around to choose from, so it’s not hard to stumble upon a brew or two that you probably haven’t tried before. Some of the more classic pubs stick with traditions that are a century old, and you’ll feel like you’ve stepped back in time when you’re there having a drink. Prague is also an interesting place to visit because it is a very musical city. There are plenty of more traditional places to listen to classical music including all of the churches, the Rudolfinum, and the Municipal House. But there is also a lot of more current music to check out at places like the nightclubs and the parks during the summer time. There is even a club called Karlovy Lazně that has four different stories that each play a different genre of music. 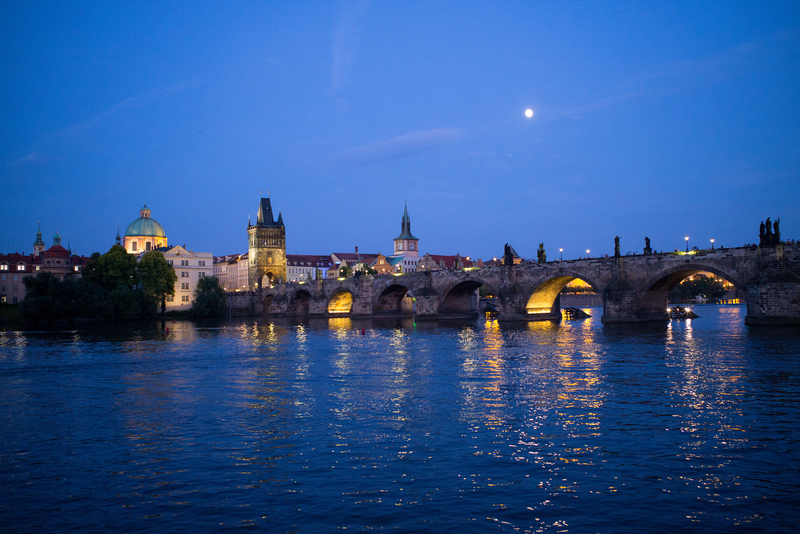 Prague is graced by the Vltava river, which can be considered the life of the city. There are ten islands on the river, and there are over thirty bridges and foot bridges that go across the river as its been incorporated so deeply into the city life. Steamers go down the river, but you can also rent pedal boats and go down river by rowboat as well. During the summer the Vltava embankment is a hubbub of activity with farmer’s markets, dances, exhibitions, and picnicking. During the winter one of the boats on the river is turned into a sauna. Prague is full of historic gardens and parks that are worth seeing. Some of them date back as old as the middle ages and there are over 200 open today that can be visited. Each time period throughout the years introduced a different style of garden layout which an interesting compare and contrast to the architecture from each time period as well. Probably one of the best vacations I had. Prague is a city where much of the Renaissance Period can still be seen through its architecture and old houses and streets, but it also has all the modern amenities. People are calling it now the “New Paris” or the “Second Paris,” because if you’ll take a stroll in their streets, town’s plaza and the bridge over the Vltava river, you will surely fall in love – whether with someone close to you or the place itself. I think I’ll plan my third visit next December. It’s so nice during winter there. Nice blog, it’s full of information. But just 1 question: how much does it cost to visit Prague?